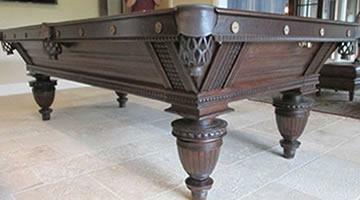 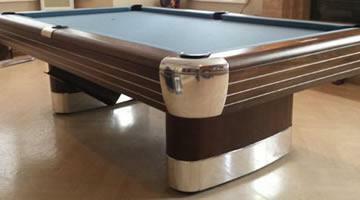 Billiard Restoration Service takes pride in offering some of the finest antique pool and billiard tables to collectors, interior designers, and pool aficionados across the United States and the world. 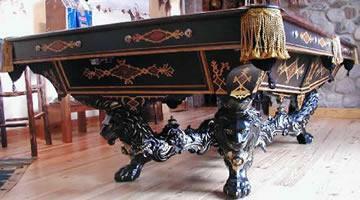 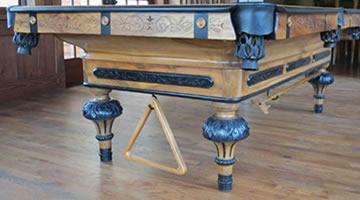 For more than 20 years, we have purchased, restored, and sold a vast selection of antique pool tables - from the very simple to the most ornate. 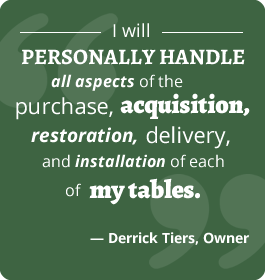 My unique inventory is not merely refinished with remanufactured parts, but thoroughly restored to its original factory specifications so that each table is indeed a collectible item. 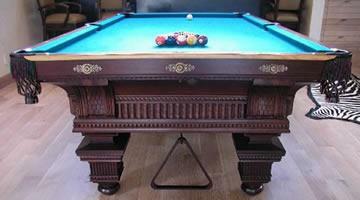 Our wide selection of antique billiard tables includes a variety of Brunswick pool tables including the Anniversary, Centennial, Monarch, Jewel, and Union League.